In other actions, the SEC fined Rafferty Capital Markets for facilitating trades for an unregistered firm. Rafferty Capital was fined by the SEC for facilitating trades for an unlicensed firm. Among recent enforcement actions by the SEC were charges against a company for facilitating illegal trades; against two clinical drug trial doctors for insider trading; against four former officials at a clearing firm for Regulation SHO violations; against a former chief risk officer for violations of auditor independence rules; against a private fund manager for defrauding investors in a Ponzi scheme; and against the former board member of a vitamin company and his brothers for insider trading. Gaeton “Guy” S. Della Penna, a Sarasota, Fla.-based private fund manager, was charged by the SEC with defrauding investors in a Ponzi scheme that followed his use of their money on bad investments and personal expenses. Although Della Penna presented himself to his investors, many of whom were people he’d met through his church, as a distinguished trader and profit-maker, instead he was very different. He took $1.1 million from the $3.8 million he raised from them and used it for mortgage payments on his 10,000-square-foot home and for payments to his girlfriend, who lived with him there. He also transferred some investor funds into accounts at Gaeton Capital Advisors LLC. He promised some investors 5% annual returns along with 80% of the trading profits generated with their investments, and later promised other investors 10% returns on their money to be used for investing in small companies. But what investments he did make were unsuccessful, and to cover up his losses and his theft, he resorted to launching a Ponzi scheme, using the money that came in from newer investors to pay older investors. He also created false account statements for some of the investors to bolster his story. The SEC is seeking financial penalties, disgorgement of ill-gotten gains plus prejudgment interest, and a permanent injunction against Della Penna. In a parallel action, the U.S. Attorney’s Office for the Middle District of Florida has announced criminal charges against him. New York-based Rafferty Capital Markets was charged by the SEC with illegally facilitating trades for another firm that wasn’t registered as a broker-dealer. According to the SEC, Rafferty agreed to serve as the broker-dealer of record in name only for approximately 100 trades in asset-backed securities that were actually introduced by the unregistered firm. Rafferty held the necessary licenses and processed the trades, but the unregistered firm managed the business. Five of the firm’s employees became registered representatives with Rafferty, executing the trades through Rafferty’s systems, but they worked in the unregistered firm’s offices and that firm kept sole authority over their trading decisions and determined their compensation. Rafferty, for its part, kept 15% of the compensation those trades generated and sent the rest to the unregistered firm. The arrangement lasted from May 2009 to February 2010. During the arrangement, Rafferty did not preserve communications with its registered representatives working on behalf of the unregistered firm, nor did it ensure that the unregistered firm kept records of those communications. Due in part to Rafferty’s lack of recordkeeping, one of the registered representatives was able to conceal two trades from Rafferty, resulting in inaccuracies in its books and records. Without admitting or denying the charges, Rafferty has agreed to settle with the SEC and consented to a cease-and-desist order that censures the firm and requires the disgorgement of $637,615 in profits, as well as payment of $82,011 in prejudgment interest and a $130,000 penalty. The SEC’s investigation is continuing. The SEC has charged James Adams, a former Deloitte LLP chief risk officer, for causing violations of the auditor independence rules that ensure audit firms maintain their objectivity and impartiality with respect to their clients. Adams, according to the agency, Adams repeatedly accepted tens of thousands of dollars in casino markers while he was the advisory partner on subsidiary Deloitte & Touche’s audit of a casino gaming corporation. Adams then opened a line of credit with a casino run by the gaming corporation client, and used the casino markers to draw on that line of credit. He drew $85,000 worth of markers in July 2009 that remained outstanding for 43 days. In September, he drew $3,000 in markers that were outstanding for 13 days and $70,000 in markers that were outstanding for 27 days. In October, he drew $110,000 in markers that were outstanding for 38 days. 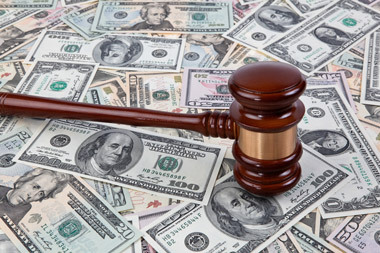 In December, he drew $100,000 in markers that were outstanding for seven days, and later drew $110,000 in markers that remained outstanding when he retired from the firm in May 2010. He also hid the markers from Deloitte & Touche, and lied to another partner when asked if he had casino markers from audit clients of the firm. Without admitting or denying the SEC’s charges, Adams has agreed to settle by being suspended for at least two years from practicing as an accountant on behalf of any publicly traded company or other entity regulated by the SEC. Two California doctors, Franklin Chu and Daniel Lama, were charged by the SEC with insider trading after they acted on their inside knowledge that the Food and Drug Administration (FDA) had halted the clinical trials of a new prostate cancer drug developed by biopharmaceutical company GTx Inc.
Chu and Lama, who practice at the San Bernardino Urological Associates Medical Group in San Bernardino, Calif., were medical investigators in the drug trials of Capesaris. The drug was being tested for its safety and effectiveness before GTx applied to the FDA for its approval. Beginning in early 2011, GTx and San Bernardino Urological Associates Medical Group entered into a series of clinical trial agreements (CTAs) in which GTx paid compensation to the medical practice for each patient it enrolled in the study. The CTAs contained strict confidentiality provisions that prohibited Chu and Lama from using nonpublic information about the trials for any purpose other than rendering services. On Feb. 17, 2012, the two doctors learned from GTx that the FDA was placing a hold on the Capesaris clinical trials because of concerns about an increased risk of blood clots in participating patients. As soon as they learned this, they sold their stock—Chu selling 16,000 shares and Lama 5,400 shares—at an average price of $5.82 per share. Once the news became public on Feb. 21, the stock dropped more than 36%, meaning that Chu and Lama had avoided losses of approximately $34,081 and $11,502 respectively. The SEC has also said that when its investigators first contacted Lama, he denied any knowledge of the FDA’s action. While neither admitting nor denying the SEC’s charges, Chu has agreed to pay disgorgement of $34,081, prejudgment interest of $2,014, and a penalty of $34,081, while Lama agreed to pay disgorgement of $11,502, prejudgment interest of $680, and a penalty of $34,506. Lama’s penalty is three times the amount of his illicit trading profits. Four former officials of clearing firm Penson Financial Services have been charged by the SEC for their part in violations of Regulation SHO. According to the agency, Penson’s securities lending practices intentionally and systematically violated Rule 204 under Reg. SHO. Thomas Delaney II, the firm’s chief compliance officer, knew that sales procedures for customer margin securities caused rule violations, but instead of doing anything about it he assisted the violations. Charles Yancey, Penson’s president and CEO, ignored red flags about what Delaney was doing, and the fact that Delaney was hiding violations from FINRA and the SEC. Penson has since filed for bankruptcy. When Penson loaned securities held in customer margin accounts to third parties and the margin customers sold those securities, Penson waited until settlement date (T+3) to recall the stock loans. As a result, serial failures to deliver occurred at the firm level. Rule 204 required Penson to purchase or borrow sufficient shares to close out those failures to deliver no later than the beginning of regular market hours on the sixth business day after the sale (T+6). Penson securities lending personnel, including former officials Michael Johnson and Lindsey Wetzig, chose not to comply with the regulation’s closeout requirements. Instead, they allowed the firm-level failures to deliver to persist until the borrowers returned the recalled shares, which often did not happen until the close of business on T+6. In some cases, they allowed the failures to persist beyond the close of business on T+6. Delaney discussed the issue with Johnson, who told him it was intentional. Instead of insisting on compliance, he agreed to allow the failures to continue so that the firm could avoid the costs of compliance. Delaney also approved written supervisory policies and procedures (WSPs) that concealed the compliance failures, and also hid them in numerous communications with the SEC and FINRA. Yancey, for his part, failed to supervise Delaney and Johnson, ignoring Delaney’s concealment of violations from regulators and not supervising Johnson at all—despite being designated as Johnson’s direct supervisor. Johnson and Wetzig have been charged in administrative proceedings, and have agreed to settle with the SEC while neither admitting nor denying the findings. Johnson will pay a $125,000 penalty and be barred from the industry for at least five years; Wetzig has agreed to be censured. Delaney and Yancey will be subject to litigation by the SEC Enforcement Division in a separate proceeding. Glenn Cohen, former board member of NBTY Inc., a Long Island-based vitamin company, was charged by the SEC along with his three brothers and the girlfriend of one of the brothers with insider trading. According to the agency, Cohen first learned in May 2010 that NBTY management was negotiating to sell the company. He shared that information with his three brothers, Craig Cohen, Marc Cohen, Steven Cohen, and Laurie Topal, who is Marc Cohen’s girlfriend. All four took advantage of the information and purchased NBTY shares as a result. The next month, Glenn Cohen attended additional board meetings as sale negotiations progressed. As he got more information, he shared it, and Steven and Craig Cohen purchased additional NBTY shares. On July 15, Carlyle announced its acquisition of NBTY at a per-share price that was 47% above the prior day’s closing price, enabling the Cohens and Topal to profit significantly when they all sold their NBTY shares that same day. While all five have agreed to settle, none have admitted nor denied the charges. The sanctions, which are subject to court approval, are as follows: Glenn Cohen, penalty of $153,613.25 and barred from serving as an officer or director of a public company; Craig Cohen, disgorgement of $71,932, prejudgment interest of $9,606, and a penalty of $71,932; Marc Cohen, disgorgement of $21,454, prejudgment interest of $2,865, and a penalty of $21,454; Steven Cohen, disgorgement of $60,226, prejudgment interest of $8,042, and a penalty of $60,226; and Laurie Topal, disgorgement of $21,780, prejudgment interest of $2,908, and a penalty of $21,780.